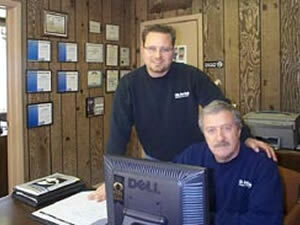 Lido Auto Body has been established since 1973. Our first location was at 645 Washington Avenue, Belleville directly behind Allan Pontiac. In 1979, we moved to 110 Roosevelt Avenue, Belleville and in 1997 we relocted to our current location at 485 Main Street, Belleville. We have always stayed in Belleville where we have maintained an excellence in quality workmanship for over 40 years. Lido Auto Body offers all the modern amenities for today’s convenience being much larger in size and work capability. It also offers the latest equipment needed for todays repair. Accepting all insurance estimates, our work is completely guaranteed. With the pride of over 40 years experience and the best quality of workmanship, we stand behind our work 100%. Feel free at your convenience to stop in at our facility, located directly across from the BP gas station on Main Street, parallel with Route 21. Lido Auto Body sets a new standard for specialized car care aimed at establishing a lifetime service relationship with our clients. We pledge premium results based on superior product knowledge and expert effort offered at affordable rates. We promise individual attention and customer care within a professional environment, and we commit to a mission of service and performance that respects both the vehicle and the driver.